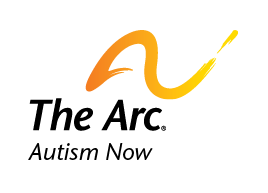 During National Autism Awareness Month, Autism NOW and The Arc offer the personal stories and perspectives of people with autism to generate discussion about autism awareness and acceptance. We invite your comments here and on Facebook and Twitter using the hashtag #AutismAware. But in many ways, I can be just like you. Is that I’m scared of heights so I can’t climb a tree. I can draw pictures and write lots of books. I look in the mirror and think of my looks. I completed 2 graphic novels and working on the third. I go to college and learn a new word. And I write it down before I go to bed. I like to go shopping and buy with a check. I can’t waste cash or I’ll be a wreck. I like to go to the library and read. I never say no when I’m asked to do a deed. I play the piano and I practice good. I’ll be in a recital and I know I would. But I’m on hiatus right now, you know. I work cleaning tables until they’re so shiny, they squeak. I like to go swimming for fun. I swim for exercise too, but I can pick either one. I like bowling, mini golfing and shopping at the mall. I can’t think of any more. That’s all. Date posted: April 16, 2014. Content created by The Autism NOW Center. Last updated: April 16, 2014.